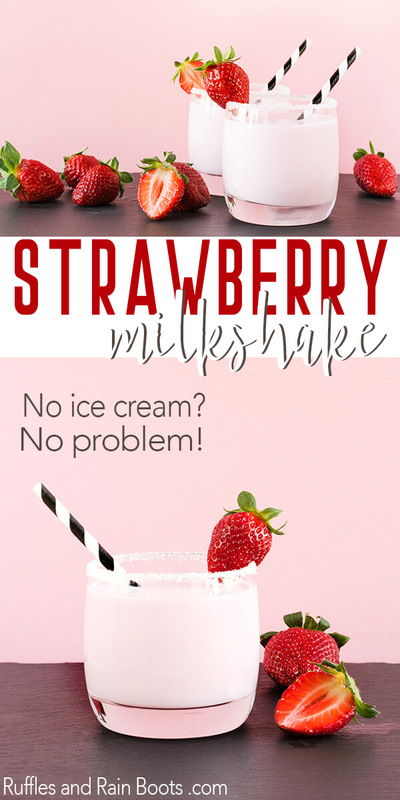 You are here: Home / Food / Make This Ridiculously Easy Strawberry Milkshake in 5 Minutes! 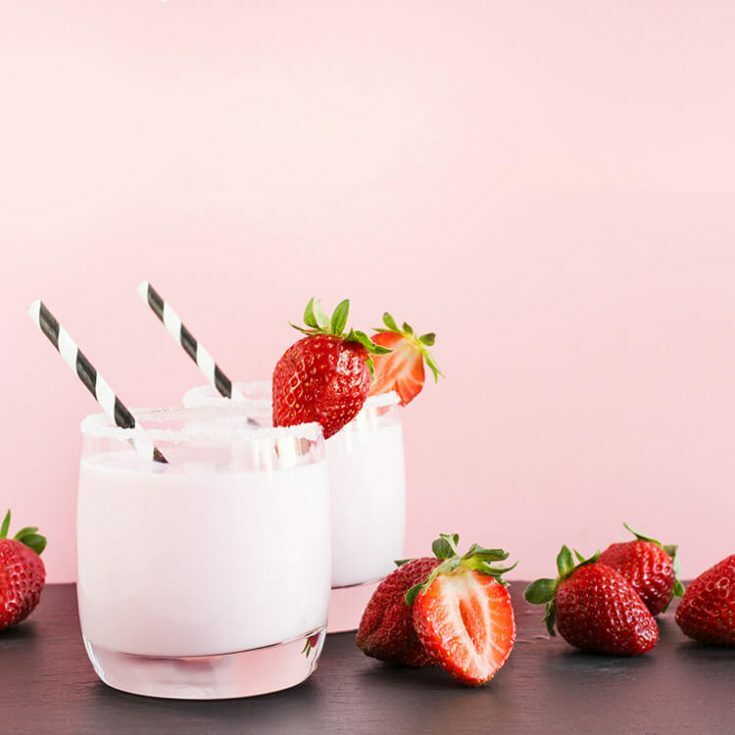 Make This Ridiculously Easy Strawberry Milkshake in 5 Minutes! This easy strawberry milkshake will be a quick crowd-pleaser. We’ll even tell you what to do when you don’t have any ice cream on hand! What’s a Girl Got to Do to Get a Strawberry Milkshake?! When I heard, “We only have vanilla and chocolate milkshakes,” I wanted to throw a tantrum like a hangry toddler in a busy Target. I was not going to have stood in that long line for nothing. But I really, really wanted a strawberry milkshake. 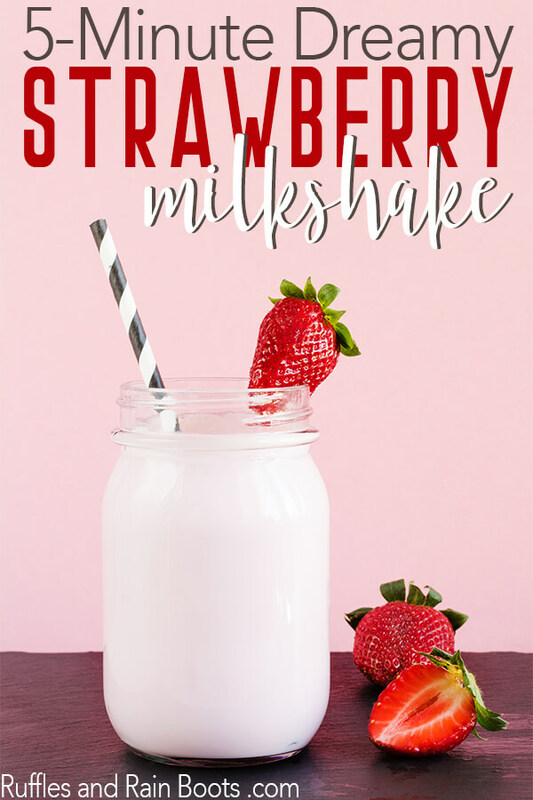 So I started testing to make a truly tasty – and ridiculously easy – strawberry milkshake. 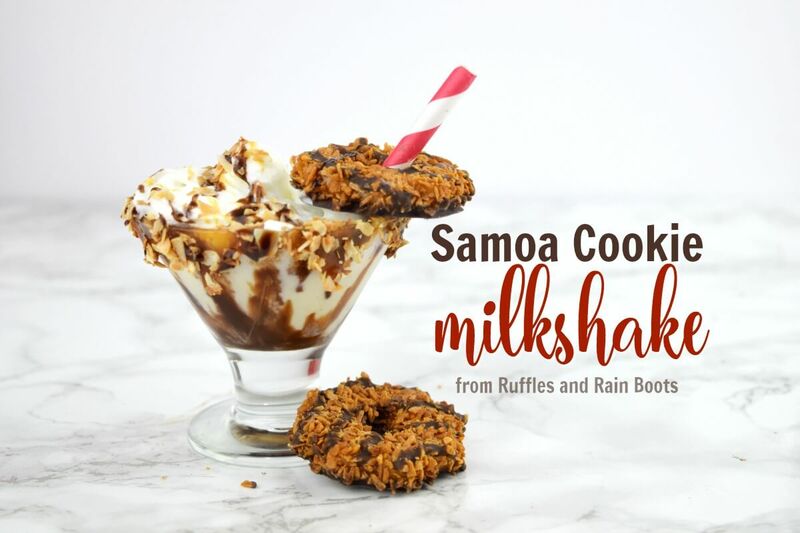 But first… Have you seen our Samoa Cookie Milkshake? My goodness, this is tasty. Step 1: Give your kid the washed strawberries and a plastic drinking straw. Now, show them this video. Step 2: Sit back and relax while the kid prepares a pint of strawberries for your easy strawberry milkshake. These measurements make 2 vanilla milkshakes or 3 little ones for the little ones in your life (or if you’re on a diet and cheating a bit). 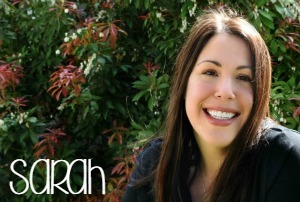 *But Sarah, I have no vanilla ice cream on hand! To that I say, I don’t want to live in your world, but also, don’t fret. If you have no vanilla ice cream to make a strawberry milkshake, grab a cup of ice and some plain yogurt. It’s not as tasty, creamy, or even as dreamy as ice cream, but it will get the job done. I’ve even used Greek yogurt in a pinch. This easy strawberry milkshake will be a quick crowd-pleaser. We'll even tell you what to do when you don't have any ice cream on hand! Dump everything into a blender on Ludacris Speed (#namethatmovie) and mix it until the creamiest, dreamiest strawberry milkshake ever emerges. Or, about 2-3 minutes. All nutrition information is estimated. Please calculate your exact brands and ingredients if accuracy is desired. I start the Vitamix on low and then move up to high to make sure I get most of the chunks of strawberry pulverized. But if you want strawberry chunks, turn down the speed or blend for less time. Look at this strawberry milkshake – this is what you get and it.is.divine. Strawberry Banana Milkshake: I’m not one for messing with perfection, but my daughter likes bananas. So yeah, we’ve thrown a banana into the mix once or twice. Strawberry Chocolate Milkshake: We’ve also added 2 teaspoons of chocolate syrup a time or two. My friend calls this a chocolate dipped strawberry shake. Lava Flow Milkshake: If you’ve ever been anywhere near Hawaii, you’re familiar with the lava flow. To make a lava floe milkshake, make our easy strawberry milkshake and add a tablespoon of coconut cream and 1/4 cup of frozen pineapple. Psst: rum is also a nice addition. 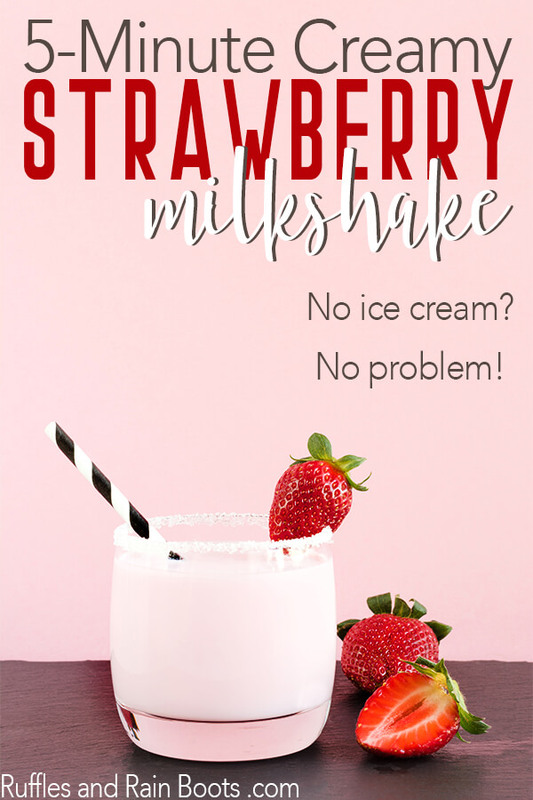 Have fun with – and deeply enjoy – your easy strawberry milkshake recipe!